Chemistry is the study of matter, its properties, how and why substances combine or separate to form other substances, and how substances interact with energy. Chemistry is the study of substances; their properties, structure, and the changes they undergo. Every material in existence is made up of matter — even our own bodies. Chemistry is involved in everything we do, from growing and cooking food to cleaning our homes and bodies to launching a space shuttle. Chemistry is one of the physical sciences that help us to describe and explain our world. The real importance of Chemistry is that it serves as the interface to practically all of the other sciences, as well as to many other areas of human endeavor. For this reason, Chemistry is often said (at least by chemists!) to be the "central science". Chemistry will cover 2 - 3 marks in General Awareness Section in all Competitive Exams . Here we are providing the some basic concept which were asked frequently in the previous examinations. We hope it will be helpful for your upcoming Bank Exams - IBPS, SSC, UPSC and all Competitive Exams. 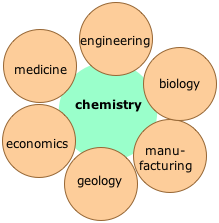 There are five main branches of chemistry, each of which has many areas of study. Analytical chemistry uses qualitative and quantitative observation to identify and measure the physical and chemical properties of substances. In a sense, all chemistry is analytical. Physical chemistry combines chemistry with physics. Physical chemists study how matter and energy interact. Thermodynamics and quantum mechanics are two of the important branches of physical chemistry. Organic chemistry specifically studies compounds that contain the element carbon. Carbon has many unique properties that allow it to form complex chemical bonds and very large molecules. Organic chemistry is known as the “Chemistry of Life” because all of the molecules that make up living tissue have carbon as part of their makeup. Inorganic chemistry studies materials such as metals and gases that do not have carbon as part of their makeup. Biochemistry is the study of chemical processes that occur within living organisms. Anything that exhibits inertia is known as matter. The quantity of matter is its mass. e.g. chalk table. This classification of matter is based upon chemical composition of various substances. According to this matter can be further divided into two types, pure substance and mixture. Mixtures are also of two types, homogenous mixtures and heterogeneous mixtures. The primary stuff present in all the substance is known as element, whose smallest unit is known as atom. Total 112 elements are known till date of which 92 are naturally occurring elements rest are results of artificial transmutation. There are 88 metals, 18 non metals and 6 metalloids. A non elemental pure substance is called a compound in which more than one atom of elements are linked by chemical bonds formed due to chemical reaction. The resulting molecule is a electrically neutral particle of constant continuous composition. Mixtures are the aggregate of more than one type of pure substance whose chemical identity remains maintained even in mixtures. Their constituent ratio may vary unlike compound. Homogeneous mixtures are those whose composition for each part remains constant. For example aqueous and gaseous solution. Heterogeneous mixtures are those whose composition may vary for each and every part. For example soil, concrete mixtures.
. Atom is the smallest particle of matter that can take part in a chemical reaction.
. Atom is not capable of independent existence.
. Two or more atoms combine together to form molecules. Matter is made up of extremely small, indivisible particles called atoms. Atom of same substance are identical in all respect i.e. they posses same size, shape, mass, chemical properties etc. Atom of different substances are different in all respect i.e. they posses different shape, size, mass and chemical properties etc. Atom is the smallest particle that takes part in chemical reactions. Atom of different elements may combine with each other in a fixed, simple, whole number ratio to form compound atoms. Atom can neither be created nor destroyed i.e. atoms are indestructible. Atom was no more indivisible. It is made up of various sub-atomic particles like electrons, proton and neutron etc. It failed to explain how atoms of different elements differ from each other. It failed to explain how and why atoms of elements combine with each other to form compound atoms or molecules. It failed to explain the nature of forces that bind together different atoms in molecules. It failed to explain Gay Lussac’s law of combining volumes. It did not make any distinction between ultimate particle of an element that takes part in reaction (atoms) and the ultimate particle that has independent existence (molecules). Atom is no longer supposed to be indivisible. Atom has a complex structure and is composed of sub-atomic particles such as electrons protons and neutrons. Atom of the same element may not be similar in all respects e.g. isotopes. 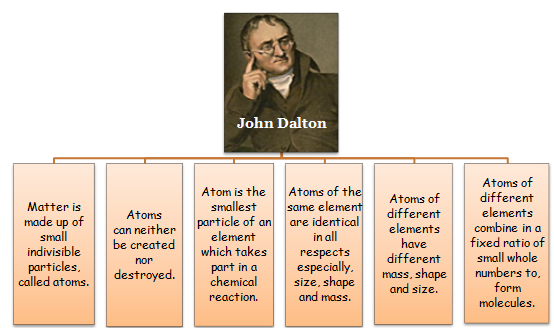 Atom of different elements may be similar in one or more respects e.g. isobars. 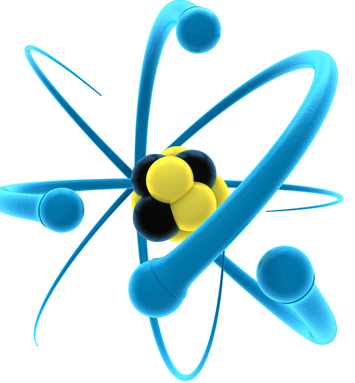 Atom is the smallest unit which takes part in chemical reactions. The ratio in which atoms unite may be fixed and integral but may not be simple. e.g. 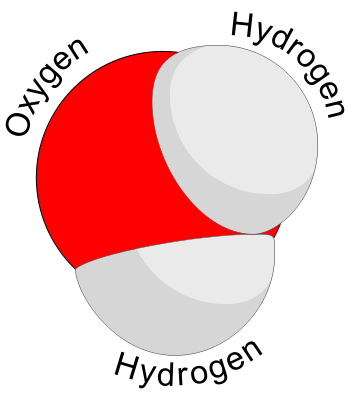 In sugar molecules C12H22O11, the ratio of C, H and O atoms is 12:22:11 which is not simple. Atom of one element can be changed into atoms of other element for e.g. transmutation. Mass of atom can be changed in energy. E = MC2 according to Einstein mass energy relationship, mass and energy are inter-convertible. Thus atom is no longer indestructible. Molecule can be defined as the smallest particle of matter which is capable of independent existence. A molecule is assembly of two or more atoms bonded together tightly. Molecules can be classified into two groups depending on the type the elemental atoms. Heteroatomic Molecules: These are the molecules of compounds and are made up of more than one type of elements. LearnFrenzy provides you lots of fully solved "Chemistry" Questions and Answers with explanation.